TRAVEL: Is That A Little Penguin I See? 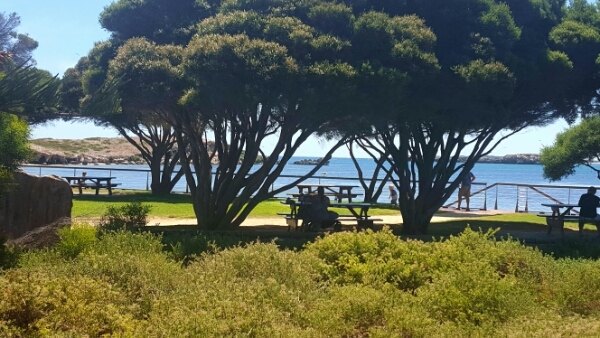 We decided to spend a beautiful day in Perth by going to the very well-known place called Penguin Island. Having lived in Melbourne for quite some time I have previously been to Phillip Island as well as the popular St. Kilda pier to see the ‘little penguins’. 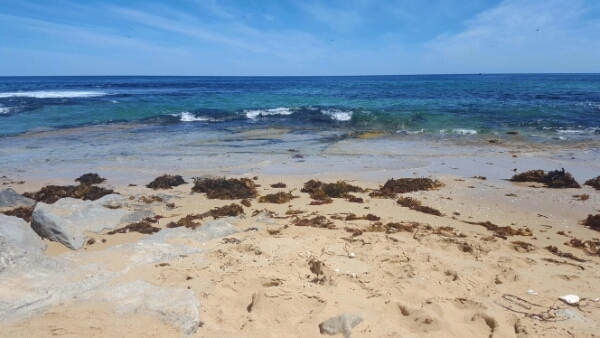 It does not take very long to make the drive to Rockingham from Perth and specifically to Shoalwater where the ferry departs the mainland to make the short trip to Penguin Island. We left Perth to make the 10.15 a.m. ferry and were armed with beach towels and snorkels for the trip. I hadn’t done a lot of research on Penguin Island. A return ticket for the ferry and entrance to the Discovery Centre is $23 per adult.We were informed that there were no shops or cafes on the island when we were purchasing our tickets so we decided to buy some snacks and bottled water for the trip. This is definitely something I would do before arriving at the terminal as the shop is ridiculously expensive. We paid over $7 for two small bottles of water, how can this be? We noticed many other passengers with small picnic bags and cooler bags so obviously we should have been a little more prepared. The ferry is small and does not take very long to travel from the mainland to the island. Strangely, there were people walking across the sandbar, which you can clearly do if you are not bringing much with you. They only tell you this after you have purchased the ferry ticket, of course. We saw adults and children who were only about waist deep in the water so it is definately an option to consider. As soon as we arrived, we walked up the Discovery Centre to see the penguin feeding at 10.30am. Has everyone crowed in along the rails, one of the staff members came into the centre with a bucket of fish. At this stage, the penguins were casually waddling around or perched on the rocks. 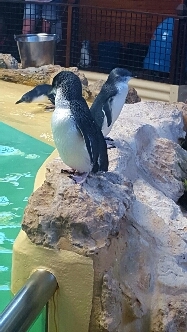 You can tell that the penguins are quite familiar with the staff and the feeding times as they all began to jump into the water as she spoke to us about the penguins and why they were in the Discovery Centre instead of out in the wild. 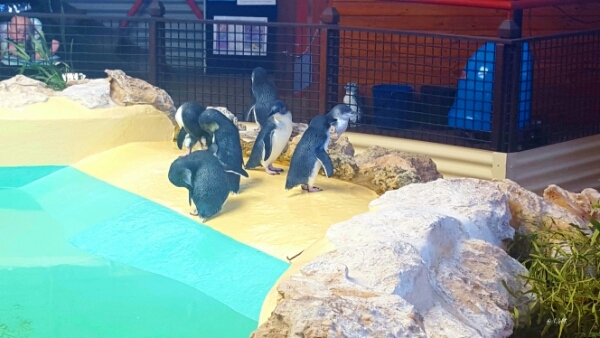 The penguins were all rescued and would not survive in the wild. One of the penguins even feed straight from the bucket rather than jumping into the pool to grab his own fish. It is sad to hear about the rescue penguin however we were told that they would not survive on the island if there were not taken care of in the Discovery Centre. After the feeding time, we decided it was time to explore the island. We left and headed off past the picnic area towards the first snorkelling area. On arrival, the beach was beautiful and quiet, however, the water was very cold. 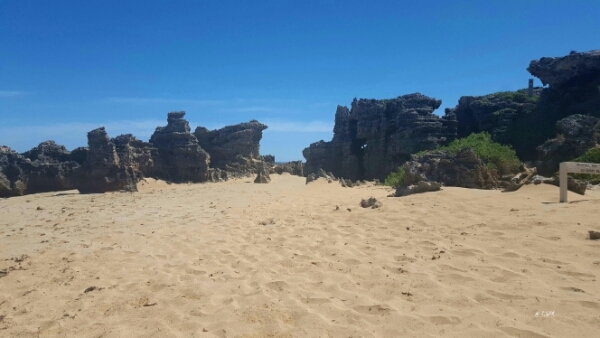 There were caves along the beach also but unfortunately, you cannot walk into them and explore them as they are unsteady. We did not stay to snorkel for very long. There were not many fish to see while we were snorkelling so we decided to head to the other side of the island to see what else the island had to offer in terms of the beach, snorkelling and sights. 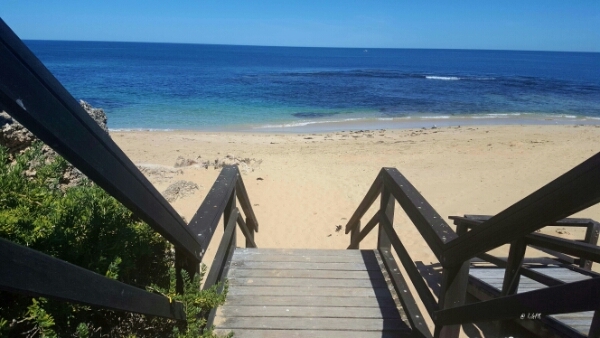 It didn’t take long to reach the other side of the island and as we walked down the wooden steps to the beach, all you could hear were waves crashing against the beach, all you could see was the coral and the beach as far as the eyes can see, well at least to the corner. We decided it was a good time to go snorkelling and spotted a few other swimmers out snorkelling so we followed their lead and headed to the same area. There is quite a lot of coral close to the beach so there were a few more fish to see, I was happy! If you are a strong swimmer, you may be able to dive a little deeper towards the seabed to discover more fish. We stayed on the beach for a little while as we relaxed chatted and took some time to ourselves. We decided it was time to head back to the mainland when we started to get hungry and luckily there was a ferry leaving at 1:30pm. When we arrived at the terminal, there was another boat docked to take passengers on a cruise around the island in the hope of seeing dolphins, more penguins and sealions. A cruise obviously allows you to spend more time on the peaceful water and exploring and viewing the island from a different side. After the short journey back to the shore, we decided to have a look around Rockingham for a new food spot. The town appears to have a lot of personality and it seems like the type of place where everybody knows each other. There is nothing more personal than a small community where you will always meet someone you know. 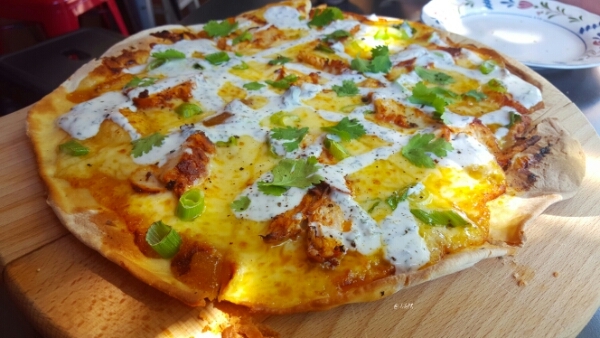 We headed towards Rustico Tapas & Bar, a place I found on social media in the hope of having a late lunch. Luckily, we struck gold this Friday lunchtime. The bar was quite busy with couples scattered both inside and outside. The venue is open yet cosy and we went for sa table by the open windows to have the best of both worlds. We were after snacks of some sort as we weren’t very hungry but needed something to eat. We grabbed a drink and had to look at the menu to begin. 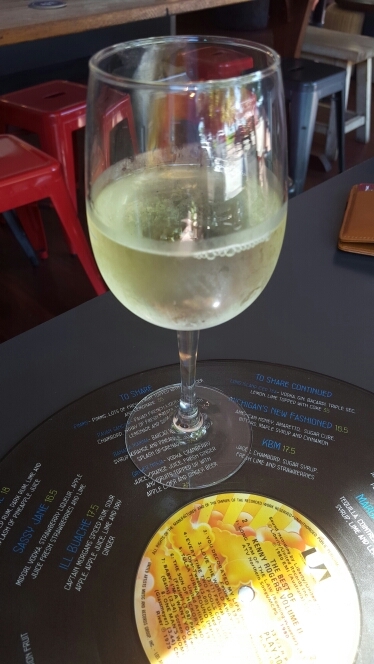 There is a fantastic ccktail menu on offer bit I had some good news that morning and celebrated with a glass of wine. Mr. T ordered our food at the bar. 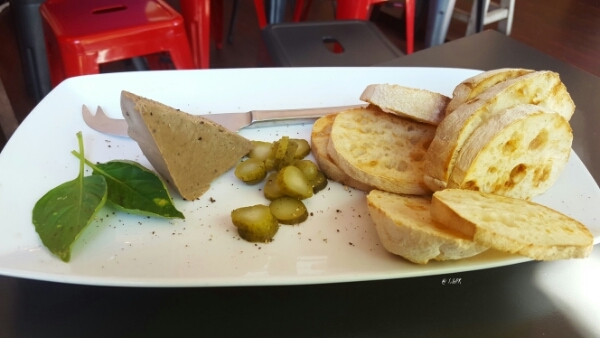 We decided on the Black Pepper Pate ($11.50) and The Raj ($22). We went with these dishes so we could share them both and pizza has to be one of the easiest dishes to share between two. The pate was delicious! There was quite a generous portion of pate on the plate and the pepper was present but not overpowering. The ciabatta was fresh and lightly toasted, a perfect match. The pizza…oh my goodness it was scrumptious! I got the impression that the pizza was freshly made. There was a thin fresh base and a generous serving of toppings. The tandorri flavour on the chicken was balanced by the drizzle of yoghurt which did not overpower the other flavours. I’m not sure that I would go to Penguin Island again. In my opinion, Rottnest is worth the effort to get thee but at least I can say I have been. 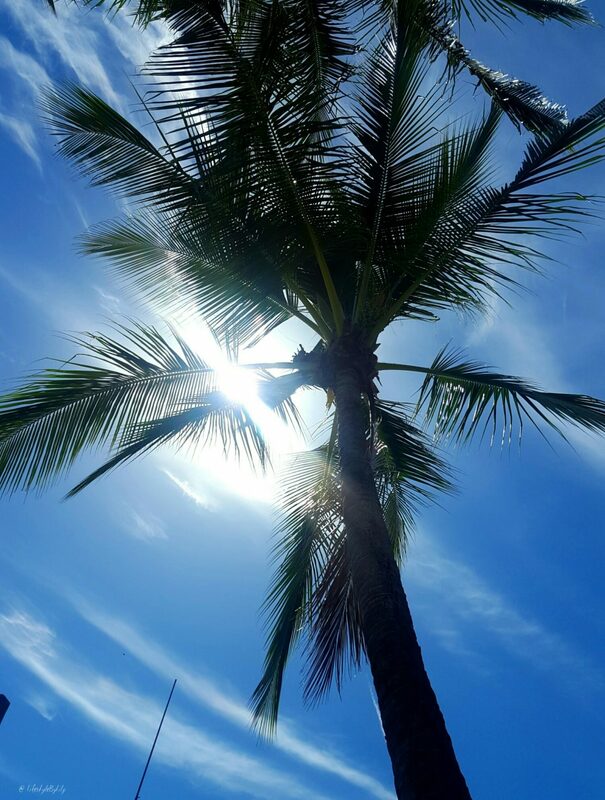 gorgeous beach!! I miss perth!